There's no beating a VR6 when it comes to the burly torque-rich powerband and the warbly bellow! Well, it's no longer a PITA to source every last part and then learn that many must be modified to fit! It's all right here and it won't get any easier or prettier. Hardware is supplied for all O2A/O2J trans versions. Worry about your fueling and engine management. That's fussy. This is easy. The engine mounts are made out of steel and are TIG welded. The mounts come finished with black sandtex powder coat and feature polyurethane bushings and stainless steel bushing inserts. 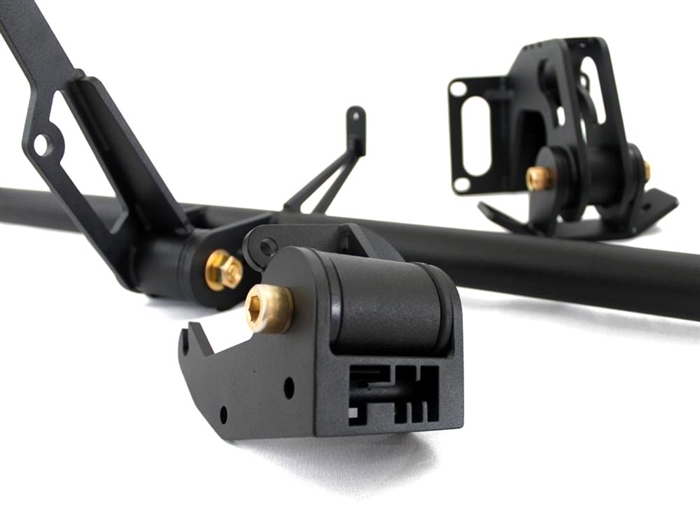 These mounts are heavy duty and can stand up to the job. The polyurethane bushings add stability, rigidity and handling while keeping driver comfort and minimizing vibration. Our Tubular Front Cross Bar adds strength and rigidity while still maintaining driver comfort. 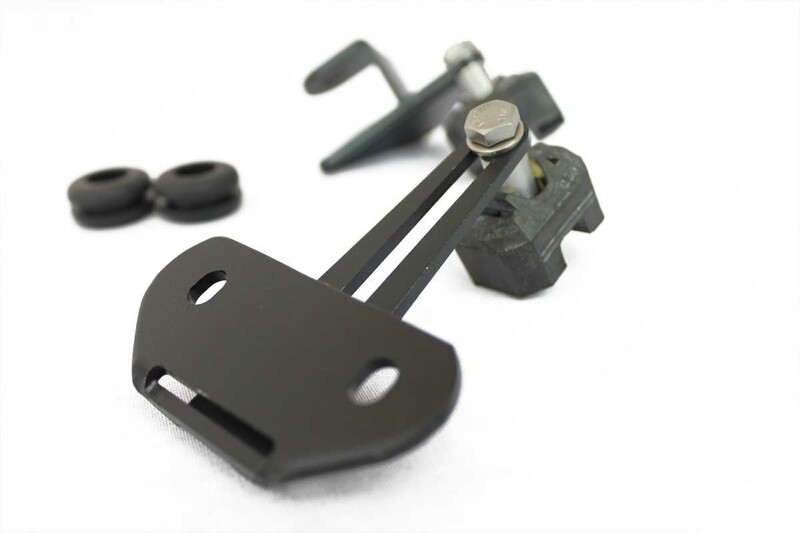 This item features an integrated jack point right under the front engine mount. The Polyurethane Jack Pad (Add-on) fits in the square cutout to protect the powder coat and prevent unnecessary scratches. 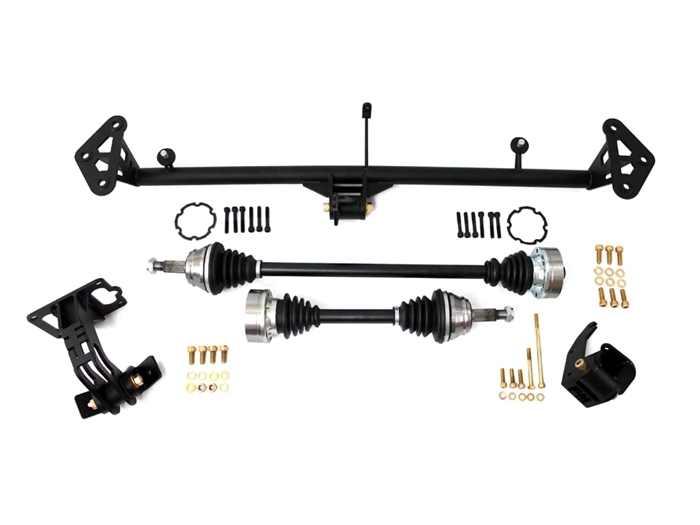 The axles and CV joints allow union of 02A/02J transmission and MK2 factory 4-bolt spindles. 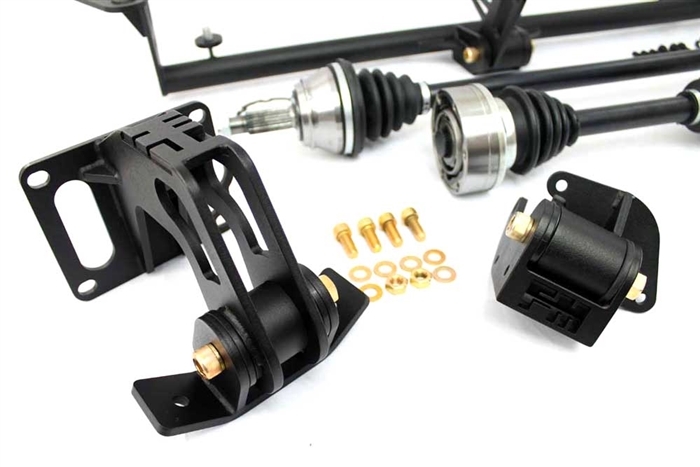 Designed for this application, they are built to custom length to compliment the more centered engine position. They are corrosion resistant, heat treated and nitrated which makes the Fabless shafts more durable and stronger than factory MK3 VR6 shafts. 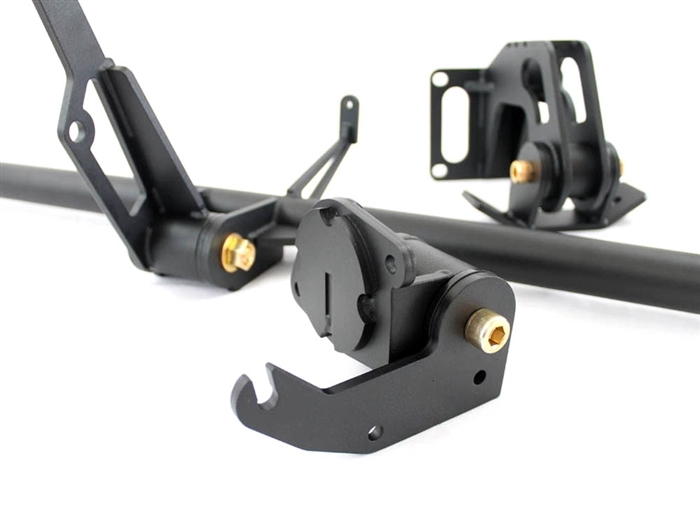 Mounting hardware, gaskets, boots, clamps and grease are included. 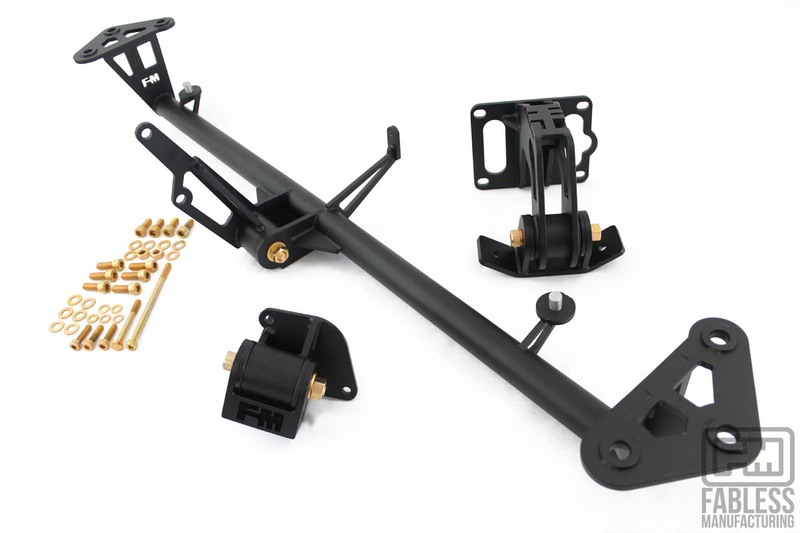 Compatible with standard MK2 8v/16v control arms or Tubular Front Control Arms for improved handling. 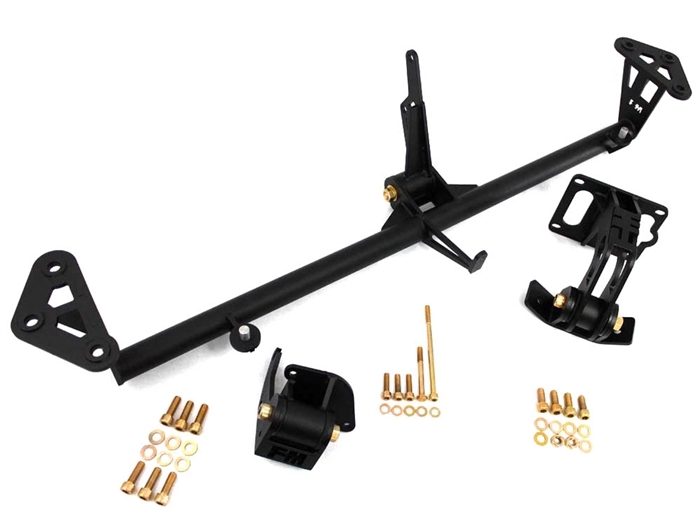 Since we utilize the MK2 subframe you can also run factory sway bar. -no project gotchas! -just goodness. Run your hydraulic clutch seamlessly via Mk2 factory pedal assembly with our Hydraulic Clutch Conversion Kit.